Chad Bryson takes you on a musky fly tying journey, as he shares every minor detail required to assemble the Sleepy Hollow in this new video from ITS Freshwater and In The Spread. 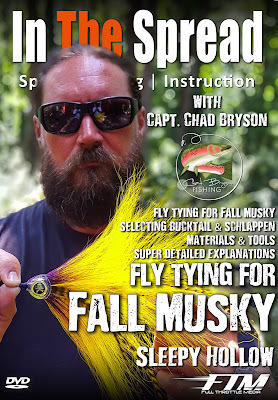 This video is the first in a series of musky fly tying videos we will be compiling for your seasonal fly knowledge base. Chad really likes to fish in this type of musky fly in the Fall and Winter months, but it will produce year round. 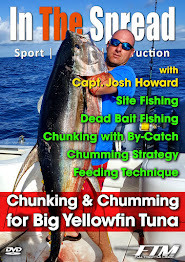 Learn about the type and quality of bucktail and schlappen he uses and why. Gain a better understanding of the other materials and tools you will need to execute the Sleepy Hollow. The first guy through the wall always gets bloody! Full Throttle Media is a boutique production house dedicated to owning, producing and distributing niche content featuring a variety of formats including film, video digital, commercials, animation, graphic and interactive design, exhibitions, events, and original photography. Copyright © 2018 Full Throttle Media, Inc.